This is the first part of a two-part commentary. In this part we look at studies that identified the site of failure after primary radiation treatment. In the second part we will look at how stereotactic body radiation therapy (SBRT) is being used to treat such local recurrences. Before any kind of treatment is given for a recurrence detected only via rising PSA, it’s important to assure that it is indeed only a local recurrence. If there are already distant metastases, local salvage treatment would only create side effects without cancer control. In the past, we really only had bone scans and CT scans that could detect only the larger metastases. New imaging technologies are enabling us to better assess and determine the site(s) of disease recurrence. All of those 57 patients with local or lymph node recurrence (83 percent) were deemed eligible for salvage radiation, but only 17 (25 percent) could have it. The reasons for not having salvage radiation included advanced age, poor performance status, extensive disease, and patient refusal. 22.6 percent had a biochemical recurrence, defined as nadir PSA + 2 ng/ml. 17.6 percent had a clinically detected recurrence. Recurrence was also higher in men under 70, with higher stage, PSA > 10, and/or > 50 percent positive cores. Note that patients who presented with enlarged pelvic lymph nodes were excluded from this analysis, and no one received whole pelvic radiation therapy. The authors also note that a first isolated PLN recurrence was a rare event among all the men treated with external beam radiation therapy, occurring in only 1.5 percent of them. In fact, after accounting for the site of recurrence, only the Gleason score, but none of the other risk factors (e.g., PSA kinetics, stage, age, time to recurrence), predicted prostate cancer mortality. 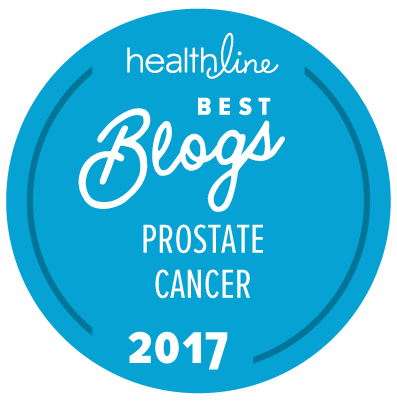 This, and the fact that a first recurrence site was often the sole recurrence site, suggests that there are different types of prostate cancer (phenotypes) with characteristic patterns of spreading and characteristic virulence. 1) The prostate is the most common initial site of recurrence in patients in all risk groups with an increasing absolute incidence that correlates with increasing NCCN risk group. 2) Isolated PLN relapse is rare in all patients, including those at high risk treated without elective PLN irradiation, at least when using CT for detection. 3) Tumors in many patients display a tropism for specific anatomical compartments and these anatomical patterns of recurrence independently predict prostate cancer specific mortality after clinically detected recurrence. Unfortunately, their report doesn’t show the time to first recurrence broken down by recurrence site. It may be that the much shorter follow-up in the French study (patients were treated 2 to 6 years ago) may explain the lower incidence of bone metastases in that study. Detection methods may explain the differences as well. In both studies, more than half of the recurrences after primary radiation therapy were local and were at least potentially treatable with salvage therapies. That may not hold true for other kinds of radiation. There isn’t a lot of data on recurrence sites, but the higher biologically effective doses available with SBRT, HDR monotherapy, and multi-modal radiation may be better able to overcome the more radio-resistant cells. In a recent commentary, we saw that a novel kind of radiation, called carbon ion radiotherapy, could kill cancer cells even in a low-oxygen (hypoxic) tumor environment. The table below shows the range of biologically effective doses for various radiation modalities, and the percent of local failures in all treated patients, broken out by risk group where available. Note that the references for these data are as follows: For the external beam radiation therapy (EBRT) data, Zumsteg et al. ; for the SBRT data, Katz and Kang and Katz and Kang; for the HDR brachy monotherapy data, Hauswald et al. ; for the EBRT + HDR brachy boost data, Kamrava et al. The local failure rates seem to be higher for external beam radiation therapy than for SBRT, HDR brachy monotherapy, or HDR brachy boost therapy. Only a randomized comparative trial can decide what relative role biologically effective doses, radiation intensity, patient selection, and detection techniques play in determining the extent of local control. It would be useful to know as well whether genetic tests like Prolaris or Oncotype Dx can predict local response to radiation, and whether there are identifiable subtypes that metastasize to lymph nodes, bones or viscera. Better detection of local and distant recurrence is needed as well. In the next commentary, we will look at how SBRT is being used in salvage treatment of those isolated local recurrences.